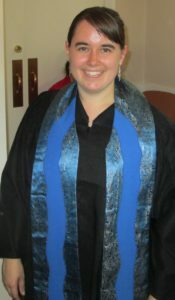 Pastor Alina is a graduate of Pittsburgh Theological Seminary. If she does weird things in worship, it’s probably because she’s actually Presbyterian and doesn’t know any better. Please be kind about it. She loves getting to know people and finding out weird Bible facts. She’s not a native Pittsburgher, so she’s definitely s till learning her way around. When she’s not lost or serving at church, she loves to read, write, and craft.